A project managed end-to-end solution that supports businesses in the acquisition and implementation of new warehouse operations. Designed to reduce risk, condense project time and minimise double running costs. Whether you’re opening a brand new operation or moving from an old site to a new one – getting your empty shell to peak operational state can be a complex and challenging process. If you don’t have the expertise, experience or capacity within your internal teams to approach this type of undertaking then Secure Start is ideal for you and your business. We know your priorities are getting your new operation mobilised and to ‘steady-state’ as quickly and cost-efficiently as possible. The process of scoping a new warehouse facility from validation of concept through to go-live can be extremely complex, time consuming and expensive. With tasks ranging from network modelling to large scale recruitment, there’s a lot to consider. Our experienced consultants will take you through a check list of considerations before talking you through our menu of services to ascertain your requirements; making sure you get help in the areas you need it most. We offer complete flexibility; you can use Secure Start as an end-to-end solution or as individual services to provide structured support when and where needed. Not only does Secure Start act as an advisory service, we can plan, project manage and implement all of our recommendations; taking the pressure off your management team and the risk away from your business. Our team of consultants have decades of experience, an unrivalled level of operational expertise and have taken clients through this process many times before. Their familiarity with this process combined with an understanding of your unique challenges and dependencies reduces the learning curve period for your business, resulting in a risk free implementation whilst getting your operation to steady-state in a much shorter space of time. 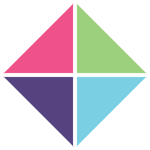 Under one Group umbrella we have specialists that span award winning and market-leading supply chain and logistics consulting, recruitment services, warehouse space brokerage alongside training & development programme design. We’re therefore uniquely positioned to support you from the moment the decision is made to buy or lease additional property – we have the expertise to provide a complete end-to-end service. With Secure Start there is no need to juggle multiple suppliers and points of contact. 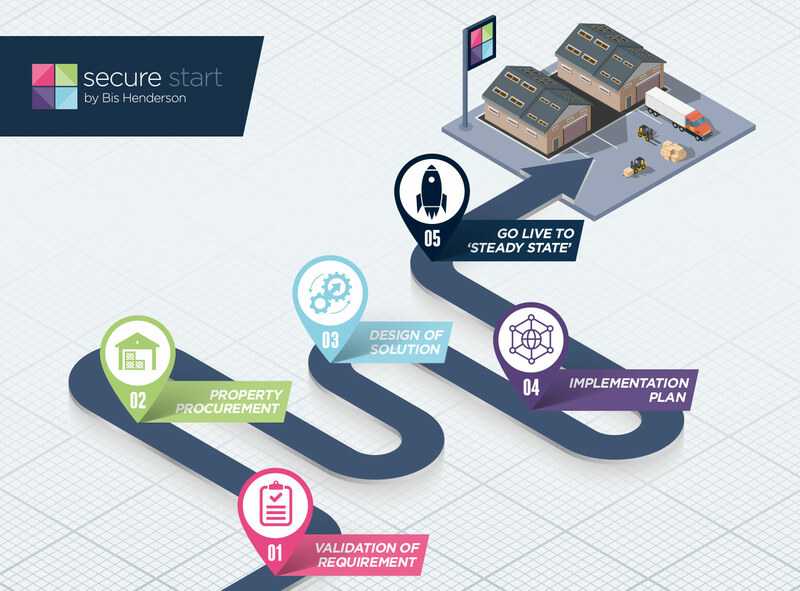 All Secure Start projects are programme managed with an over-arching point of contact. The working relationship and connectivity between the Bis Henderson operational divisions provides a seamless and hassle-free experience for our customers. Bis Henderson Group is the only provider in the UK to offer a full suite of services to support you in the practicalities of not only getting your facility up and running, but ensuring your operation runs at peak efficiency as quickly as possible. Our experts can support you with any part of the journey or manage the whole process in its entirety. Contact us now for an initial consultation to understand where you are now and how we can get you to where you need to be.